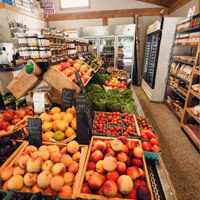 PineRidge Farm was born in 2009 when Kris and Paul left their successful careers, Kris with 30 years in the newspaper industry and Paul with 24 years in the retail food business, to re-invent themselves and their lives. 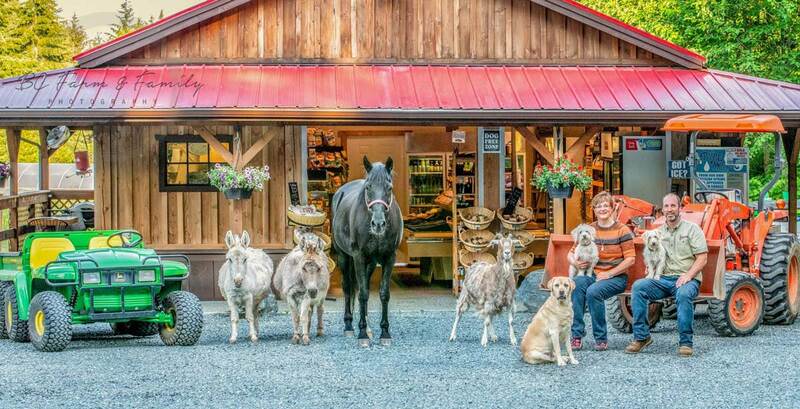 Blending their backgrounds, talents and expertise, they created PineRidge, a beautiful farm, market and RV park that they love to share with others. Kris and Paul were both raised on Vancouver Island. Not surprisingly, they both developed an affinity for the island’s relaxed lifestyle, its verdant spaces, the privacy that rural living provides, and the incomparable benefits that go with all of that. Kris and Paul have always been avid gardeners, so starting a farm, growing food, and sharing it with family, friends and neighbours was both a natural evolution and a labour of love. When they purchased the property, it was wild and overgrown. With hard work and determination, Kris and Paul transformed it into the idyllic farm it is today with a 5-acre fenced garden containing a greenhouse, 2 large outdoor gardens, a 600-bush blueberry patch, heritage apple trees, cider apple trees, and cherry trees. The farm also supports more than 800 soft berry bushes consisting of tayberries, marionberries, loganberries, raspberries and thornless blackberries. 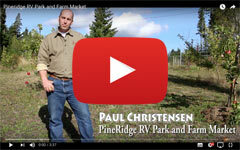 Although PineRidge Farm is not certified organic, Kris and Paul grow all their food using rigorous organic methods. They consider themselves HIP Free, (Herbicide, Insecticide, Pesticide Free). Kris and Paul derive the utmost satisfaction from their efforts by sharing their way of life with others and possibly inspiring them to also take a leap of faith and follow their dreams.